Okay, I am not surprised my husband rocks. Ive known that for a long time. But another reason why he rocks? He was at our house on Friday when I got home from work, to surprise me. I wasnt expecting to see him for a visit for a few more weeks. We tossed around the idea of him coming home for Easter, but plane tickets were way too expensive. So he got tickets for the next weekend, and I was pretty excited about that. He hasn’t been home yet, since he left the first week in January. Thankfully we have gotten to visit each other at a hotel due to some Marriott points. But without anymore reward stays, meeting in the middle is just not financially practical. But imagine my surprise as I get in the car to leave work and get a picture message from him. And it’s of him and Baby Girl in our kitchen. I was confused at first, then shocked. And I couldn’t get home fast enough. It was so nice to spend the weekend together, at our house. We didn’t have to find things to do, we didn’t have to go out for every meal. It was nice to just be. So he gets brownie points for sure. 10 hours in the car by himself just to see us. 🙂 Well, our friends were really excited to see him for a little bit too. Way to go babe! You are awesome. The Gayz Invade Disney World! I am constantly amazed by the ignorance and intolerance from people around me. For instance, today when discussing family vacations a girl at work said she was going to start a vacation fund to take her daughter to Disney World one day. Seems like a nice thing to do. Most parents want to to take their kids on vacations that they will enjoy and most kids like Disney. But what caught me off guard was the second half of the conversation. Her: But before I plan when we will go I will have to check the calendar to see what events they have going on. Me: Oh thats a good idea, I know they do a lot of special stuff so it would be great to go when something is happening. Her: No, I mean to check and make sure they dont have any special groups there. Because I know they have a day when the park has all gays there. And I dont want to go then. Her: Well I dont think she would “catch” it or anything like that, but I just dont want her around that. When she is older she can figure out what gay is on her own. I dont need her to ask any questions. Is it just me, or is that just seriously f-ed up? I guess Im just the opposite, I wouldn’t mind my daughter asking questions. Because when I answered the questions, I would teach her that its okay to love who you love no matter the person. And that we as people have the ability to be open minded and loving people, or closed minded, fearful and ignorant. 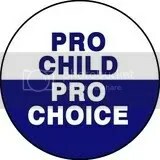 And I would want my daughter to grow up to be understanding, compassionate, and caring for all people. Not just people that fit into a certain mould of how people “should” be.